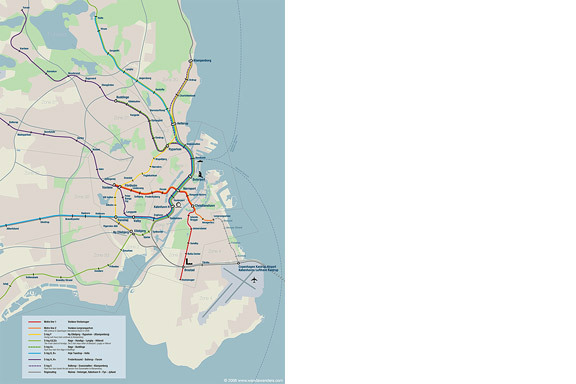 When we visited Copenhagen, I was surprised by the complex metro map for the very small network. It should be possible to draw a map easier to understand and graphically more appealing to visitors. I designed a new metro map that shows the relation with the city. 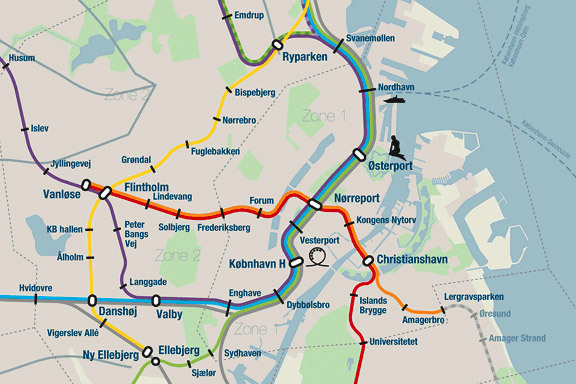 It combines all trains with different schedules on similar routes to bring back overview.